Logan Trowbridge went 3-3 at the plate, sparking the Great Bend Boom (6-2) to a 5-3 victory over the Topeka Train Robbers (1-6) on Sunday at Jerry Robertson Field. He homered in the third inning, singled in the fifth inning, and tripled in the seventh inning. Ian Miller had an impressive outing against the Topeka Train Robbers lineup. 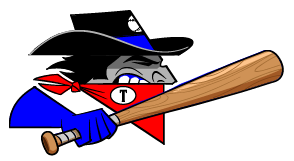 The Topeka Train Robbers managed just two hits off of Miller, who allowed one earned run, walked five and struck out three during his six innings of work. John De Leon (0-1) took the loss for the Topeka Train Robbers. He lasted just five innings, walked five, struck out one, and allowed three runs.